TIJUANA, B.C.– A block of Avenida Revolución between 7th & 8th Streets in became the focal point for the 6th Annual Festival Del Chile En Nogada on Sunday, August 30th from noon until 9PM. 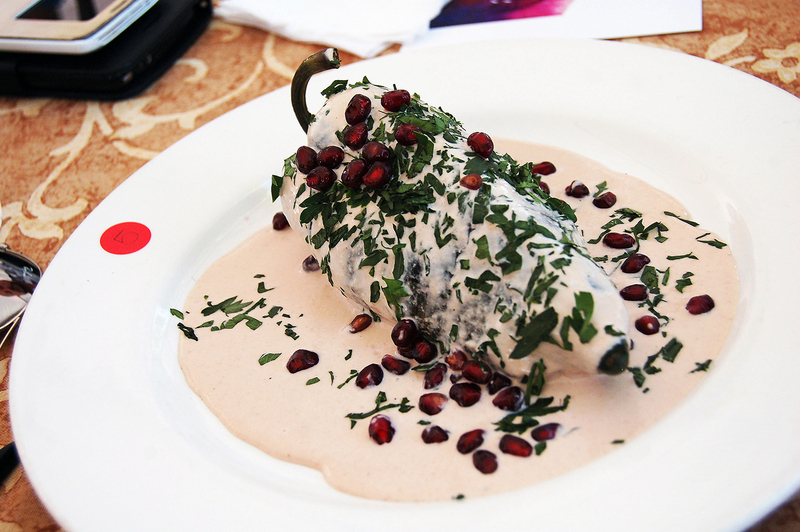 Here, a gathering of fourteen hopeful chefs and cooks prepared their version of chiles en nogada: a Poblano chili stuffed with picadillo – a mixture of meat, apples, pears, peaches and aromatics – smothered in a sweet, creamy walnut-based sauce and topped with pomegranates and parsley. 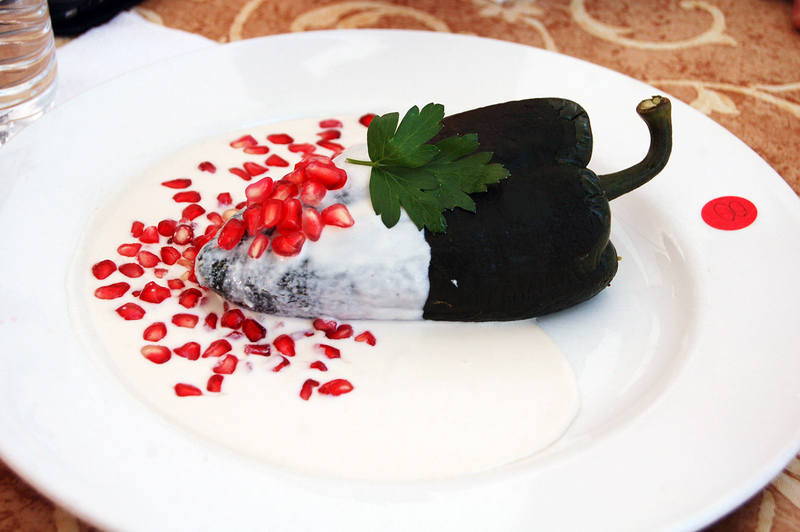 Chiles en nogada is a traditional Mexican dish typically served from late August through mid-September, around the time that Mexican Independence is celebrated and pomegranates are ripe for the picking. 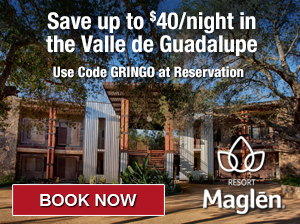 The green chili, white walnut sauce and red pomegranates represent the colors of the Mexican flag. The chili can also be served in a light batter, in which case the green parsley stands in for the chili. A chile en nogada with capeado, from cook and contestant Rosario Salazar. As with almost every Latin American cultural tradition, the origins of this decidedly Pueblan dish are somewhat contested. 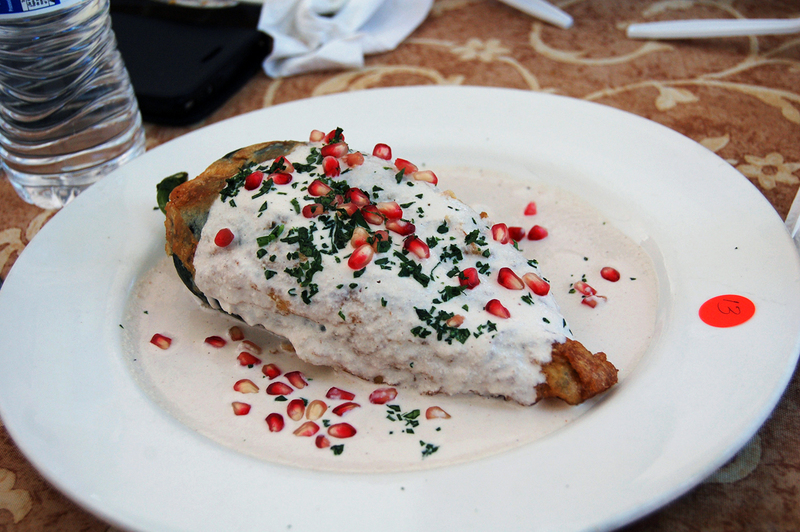 Chiles en nogada was definitely prepared for the first time for emperor Augustín de Iturbide, who was visiting the region in the early 19thcentury shortly after his inauguration. There is debate among food types, however, as to whether it was prepared by the nuns at the Monjas Claris as convent, or the sisters over at the order of the Madres Contemplativas Agustinas. 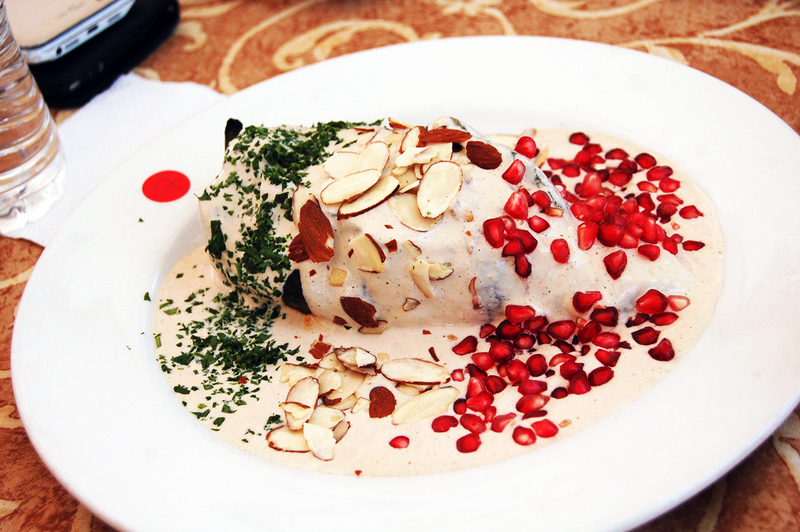 Regardless, the The chile en nogada, perhaps more than any other traditional Mexican dish, is a source of great pride for Pueblans and Mexicans, in general. 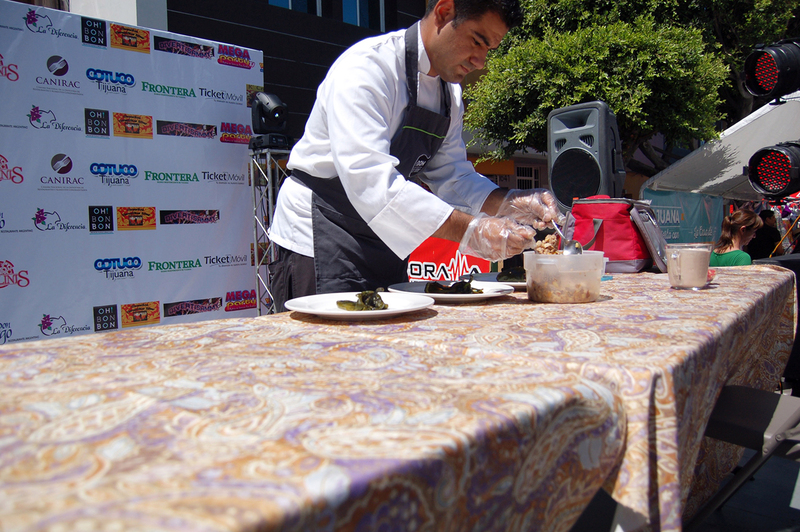 A contestant hard at work on his chile en nogada. 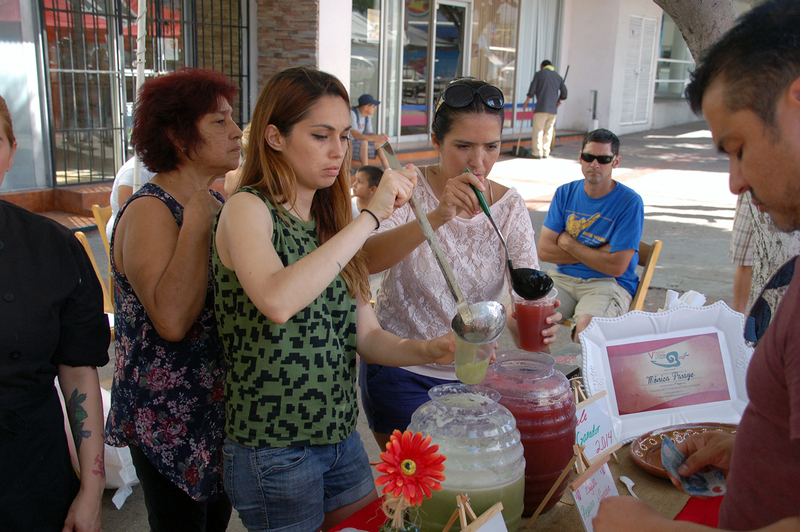 Vendors serve cold “auguas frescas” on a warm August afternoon. A panel of cross-border foodies led by head judge Javier Gonzalez, dean of the Tijuana Culinary Art School, sampled all fourteen of the dishes to select a winner.Alejandra “Alex” Barraza of Tijuana restaurant Hogaza Hogaza went home with the grand prize and big platter. Second place went to Ivan Cardenas and third to Michael Manzanedo and Amanda Orozco. And according to Alex, Hogaza Hogaza is serving her winning chile now through the end of the season – so go try one muy pronto! Third prize: Michelk Manzandedo and Amanda Orozco. Visitors were also invited to try all of the chiles en nogada from the various cooks throughout the day at a cost of $120 Pesos, or about $7.20 US. 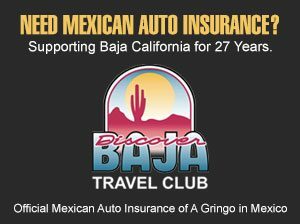 Other food items on hand included pizza, Baja California cuisine and some excellent Argentinian Barbacoa form Tijuana’s Don Diego restaurant. We tried a torta of their Spanish chorizo dripping with chimichurri and mayo that was mouthwateringly good! Festival del Chiles en Nogada, Tijuana. Attendance at Sunday’s event was free. The festival also featured a children’s area with crafts and a dunking pool – a definite crowd favorite. Event organizers were expecting 3,000 attendees at this year’s festival. 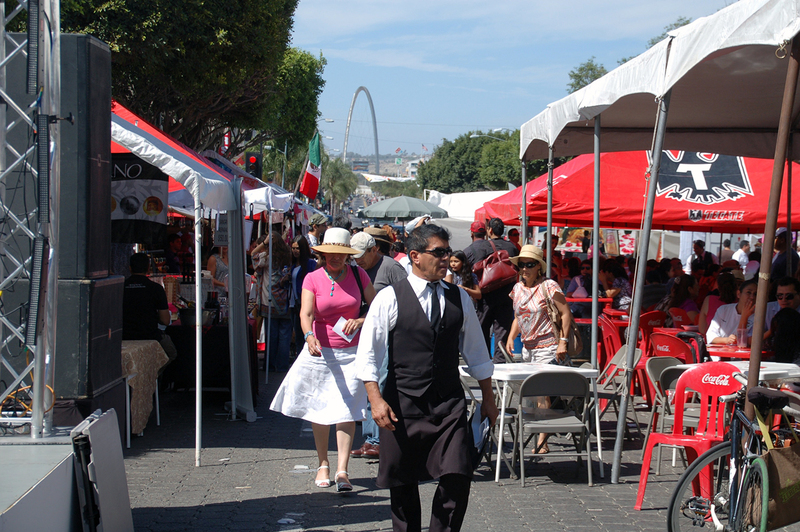 CANIRAC, Tijuana’s foundation of restaurateurs and COTUCO, Tijuana’s committee of tourism and conventions were two of the major event sponsors. This article was originally published at SanDiegoRed.com. City landmark celebrates 30th year with additions including medical care suites, new casino. Hi Margaret, and thanks for your comment!